We recondition and make new parts for all industries, including; the oil field and fuel industries, farm equipment, bakeries, meat packing plants, restaurants, cardboard box manufacturers, earth moving and construction equipment, production lines, elevator companies, as well as government agencies. If you need it done, we can do it! No job is too big or small. We manufacture custom shafting for every industry from commercial air conditioning, to specialized shafts for mining suppliers. Valley Machine Works specializes in emergency industrial repair for every industry you can imagine. We service an extensive list of companies throughout the Phoenix metro area, and have for over 100 years! Satisfied customers are our number one asset. We pride ourselves on our willingness to 'do what it takes to get the job done right,' including working around the clock, on weekends, and on holidays if that's what it takes to get your business up and running. Our goal is simply to provide top-notch customer service coupled with high quality work at a fair price. All jobs receive the same attention to detail regardless of size or complexity. 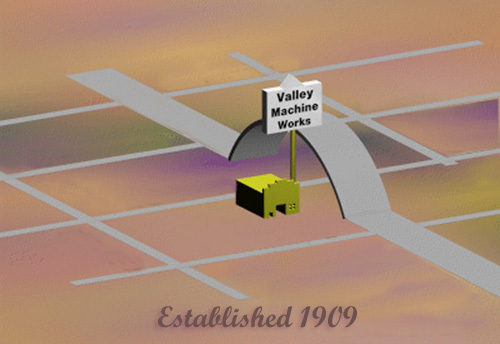 Valley Machine Works is all you need to get the job done accurately and affordably. Give us a try, we would love to show what we can do!